1.- WHAT IS EOCGSSE.ORG AND WHO ARE WE? The www.eocgsse.org website is the official website of the European Youth Olympics Festival (the “GSSE”). It is managed and operated by the EOC. We describe as the “Services” the website, as well as the newsletters or other online resources offered on the www.eurolympic.org and other digital properties operated by the EOC. 2.- WHY SHOULD YOU READ THESE TERMS OF SERVICE? These Terms of Service aim to inform you, as user of the Services, of the conditions under which you may use the Services to access, use, view and share the GSSE Content (as defined below). By accessing and using the Services, you agree to be bound by these Terms of Service. If you do not agree with these Terms of Service, do not use the Services. Specific rules and additional terms may apply due to the nature and purpose of certain Services. This is for instance the case of certain systems for event registration managed by the EOC. In such cases, these specific terms will be brought to your attention before you use the relevant Services and will prevail over these Terms of Service in case of any inconsistency. Please note that, if you access GSSE Content (as defined below) via services operated by third parties, such as social media services, additional terms issued by such third parties may also apply. We reserve the right to modify the Terms of Service, at any time. When we make changes, we will revise the “last updated” date at the bottom of the Terms of Service and any change will be effective immediately upon posting. We will use reasonable efforts to inform you about any material changes made to these Terms of Service. However, your continued use of the Services following the posting of changes will constitute your acceptance of such changes. We encourage you to review our Terms of Service whenever you use the Services. 3.- WHAT CAN YOU FIND ON THE SERVICES? In these Terms of Service, “GSSE Content” refers to any audio visual or other content, information or materials accessible through the Services such as texts, illustrations, artworks, graphics, data, moving and still images, sounds, music, or software. The GSSE Content is protected by copyright, trademarks, or other proprietary rights and laws. All rights, including all intellectual property rights, or other proprietary rights in the Services, GSSE Content, except for Your Content (as defined below), are owned by the EOC, or licensed to us by the respective rights owners. All rights not expressly granted to you under the present Terms of Service are reserved. Through the Services, you may be offered the possibility to provide feedback and interact with other users, by making comments or by making available other types of content (“Your Content”). You retain all ownership rights and are solely responsible for Your Content. You grant us a non-exclusive, royalty-free, worldwide, transferable, license (with a right to sublicense) to use, reproduce, display, distribute, make available and prepare derivative works of Your Content, in whole or in part, in any media formats and through any media now known or to be known, in connection with the EOC. You also grant each user of the Services a non-exclusive, royalty-free, worldwide license to access Your Content through the Services and to use it in accordance with the present Terms of Service. All licenses granted to us and the users of the Services in relation to Your Content shall continue indefinitely, unless you request that we remove Your Content from the Services. 4.- WHO CAN USE THE SERVICES? The Services are intended for users who are 16 years old (or older) and who are either of legal age under the laws of their country of residence or who have obtained the consent of a parent or guardian to use the Services. Your use of the Services is at your risk and you are responsible for ensuring that your use of the Services complies with applicable laws of your country of residence or use. 5.- HOW CAN YOU USE THE SERVICES? a) The Services cannot be used for advertising purposes, or in any manner implying an association between a third party, or a third party’s product and services, and the EOC without our prior written authorization. f) You may not transfer, assign or sublicense any rights and licenses granted to you under the Terms of Service, but our rights and obligations may be assigned by us without restriction. j) You may not facilitate or encourage any violation of these Terms of Service by third parties. 6.- WHAT INFORMATION DO WE COLLECT ABOUT YOU AND HOW DO WE USE IT? 7.- WHAT ELSE SHOULD YOU KNOW? f) Although we make our best efforts to reply to any questions asked or request made to us through the Services in a timely manner, we do not guarantee any specific turnaround time, reserve the right to refrain from answering any communication which does not comply with the present Terms of Service. any bugs, viruses, or the likes which may be transmitted to or through the Service by any third party. 7.3 You agree to defend, indemnify and hold the EOC (including their respective officers, directors, employees, agents, affiliates and subcontractors) harmless from and against any claims or damages (including legal fees) arising in connection with your violation of the present Terms of Service. This defence and indemnification will survive the present Terms of Service and your use of the Services. 7.4 No action from our part, other than written waiver or amendment, may be construed as a waiver or amendment of these Terms of Service. If any provision of these Terms of Service is found invalid or unenforceable, the remainder of these Terms of Service shall remain valid and enforceable to the fullest possible extent under applicable law. 7.5 The Terms of Service shall be governed and interpreted by the laws of Italy, without reference to conflict of laws. Any dispute arising from or in connection with the execution or interpretation of these Terms of Service or breach thereof which cannot be settled amicably, shall be submitted to the exclusive jurisdiction of the Courts of Rome, Italy. EOC is an international non-governmental not-for-profit organisation whose objective is to propagate the fundamental principles of Olympism at European level. Our content is available on the Services without the need to register as a user. We will collect information about you in different situations, for instance when you contact us or when you request a service from us. We inform you that no profiling service is active. We use the personal information we collect to deliver and promote our Services in conformity with the Terms of Service, to communicate with you and to provide you with the services which you have requested. We also make available our content on a variety of third party platforms like Facebook, Twitter or YouTube. These platforms are governed by their own terms and conditions and privacy policies that we strongly recommend you read. we may share your information with third parties when you have given us your prior authorisation to do so. You may provide us with information, including personally identifiable information, when you communicate with us or subscribe to Services such as newsletter or event registration. Certain Services may allow you to apply for registration or accreditation to events organised by the EOC, or book travel and accommodation related to these events. In such cases, we will inform you of any additional information needed to provide to you the Services that you have requested and of the other conditions applicable to the processing of your personal information for the provisions of such Services. If you communicate with us and/or request any Service from us, we will use any information you may provide us to answer your queries. By using the Services, you accept the use of these cookies. You may turn off cookies or changing your preferences by changing your browser settings. The Services are provided for information and entertainment purposes and the content offered on our website and digital properties may include publicly available information about EOC. Through functionalities of the Services, we may allow you to make certain information available to other users of the Services. You decide what information you want to make public. If you use the Services to request certain services from us, for instance to apply for registration or accreditation to attend the events organised by the EOC, or for booking travel and accommodation in relation to these events, the provision of the services requested by you may require us to share your personal information with third parties (e.g. travel or accommodation providers, organising committees, or governmental agencies). Other services that you may request from us may also require that we share your information with third parties assisting us in the delivery of such services, such as Olympic Movement entities (such as international federations, national Olympic committees or organising committees), academic institutions, or other delivery partners. 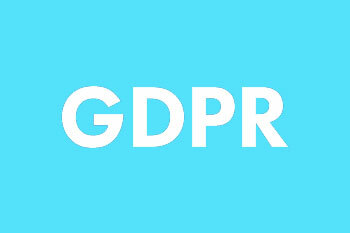 We will specify in the relevant Terms of Service the categories of third parties with whom your personal information may have to be shared and other conditions applicable to such sharing of information in relation to the Services requested. From time to time, we may offer you the possibility to receive communications (including communications related to products and services) from selected third parties, such as our commercial partners and members of the Olympic Movement. In case you opt-in or can lawfully receive such communications, we may share your information with the relevant third parties, while giving you the possibility to opt-out at any time. We use technical and organisational measures to protect your personal information against the risks of damage, destruction, loss or unauthorised access, in accordance with applicable laws. The information we collect will usually be processed in the European Union or in the Extra-European Union Countries of EOC’s Members, some of which do not provide in their laws for a level of protection of your privacy equivalent to the one applied within the European Union. Before transferring data from the European Union to Extra-European Union countries, we implement safeguard mechanisms recognized by European regulators such as standard contractual clauses, or seek your express consent. The Services are intended for users who are 16 years old (or older) and we will not knowingly collect personal information about users below that age. We mainly process your information to perform our obligations under our Terms of Service but in certain cases, we also rely on other justifications. e) Transferring, storing or processing your data outside the European Union to the Extra-European Union countries members of EOC. In these cases, you have the right the right to port your data. In these cases, you have the right to port your data and to withdraw your consent. a) Making available through the Services publicly available information related to the EOC and its activities. d) Transferring, storing or processing your data outside the European Union to the Extra-European Union countries members of EOC. f) Sharing your information with third parties including law enforcement authorities where we suspect an unlawful activity. In these cases, you have the right to object to the processing of your information or ask us to restrict such processing. We may also invoke our legal obligations as a valid ground for sharing your information with judiciary or law enforcement authorities, if we are ever obliged to do so. In such case, you have the right to object to the processing of your information or ask us to restrict such processing.